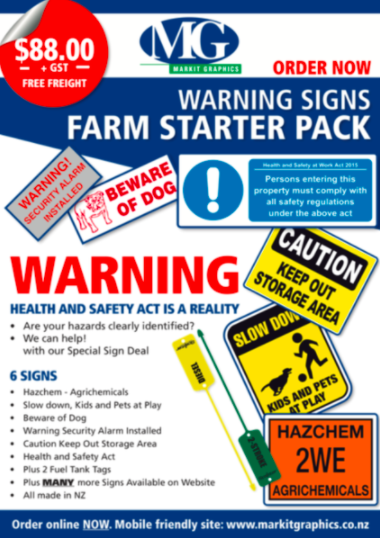 With a growing need for health and safety signs around Australia and New Zealand farms, Permark, EIL and Markit Graphics have teamed up to produce the best Farm Starter Pack on the market. Grab one today to be sure that you are compliant with all health and safety sign requirements for New Zealand farms. Many more signs available on our website – order yours today!